The word ‘Propaganda’ has its origins in the word propagate – used in reference to the dissemination of beliefs and doctrine in the Catholic church in the 17th century. 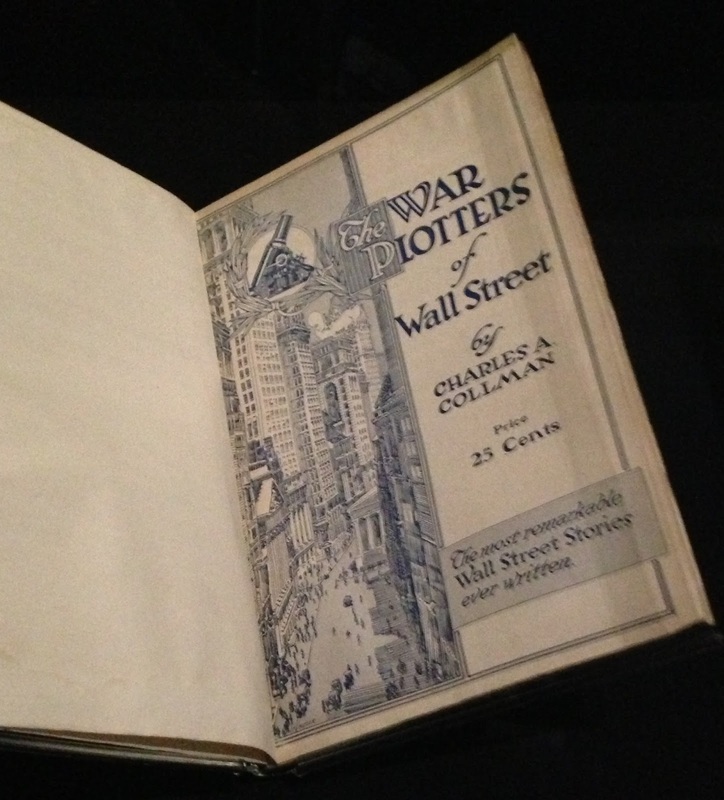 When you enter the exhibition, you’re greeted by a 1949 propaganda instructional video. Glittering generalities is such a brilliant phrase. There’s some interesting examples from the wars. Here’s a book that Germany published in the US in 1915 to discourage America from entering World War 1 on the British side. Britain had its own propaganda experts. I’d never heard of Lord Northcliffe before the exhibition, but he owned The Times, The Daily Mail and a number of other papers before and during World War 1. When you consider this was an age before television, radio or the internet – you can understand the overwhelming power that one man had over public opinion. He wrote a number of propaganda ‘maxims’ as a guide for the Committee on Enemy Propaganda. Useless material is worse than no material. Undigested material is no material. Overlapping with propaganda in neutral countries, Austria and Turkey, is unavoidable. No energy need be wasted therefore in trying to avoid it. Go to your objective by any route. What can be done by open means must not be done by occult means. What can be done by normal methods must not be done by special agents. Lies are the least effective form of propaganda. The effect of a lie diminishes and the effect of a frank statement increases with the square of the time that has ensued after it has been told. Propaganda that looks like propaganda is third rate propaganda. Never shove your propaganda to a conclusion he can reach unaided. Unless men are very ill or very uncomfortable, they resist fears and welcome hopes. The human mind dismisses fears and accepts and even invents hope with all its strength. Propaganda that merely threatens achieves nothing unless it holds out hopes also. No man will blame himself if there is anyone else to blame. Never blame your propagandee. Blame his Government, blame his leaders. Never blame ‘the German’ or ‘Germany’. Indignation with others is the natural state of man. For the purpose of propaganda in germany at any rate, the German is a brave, honest, orderly, clean, able, good-hearted man, gentle matured and cultured but scandalously misled; he was, in Switzerland, the first republican in Europe; he flourishes in the republics of America; Tacitus witnesses to his virtuous and democratic past; and the Anglo-Saxons, the Franks and Lozbards were all Germanic peoples. 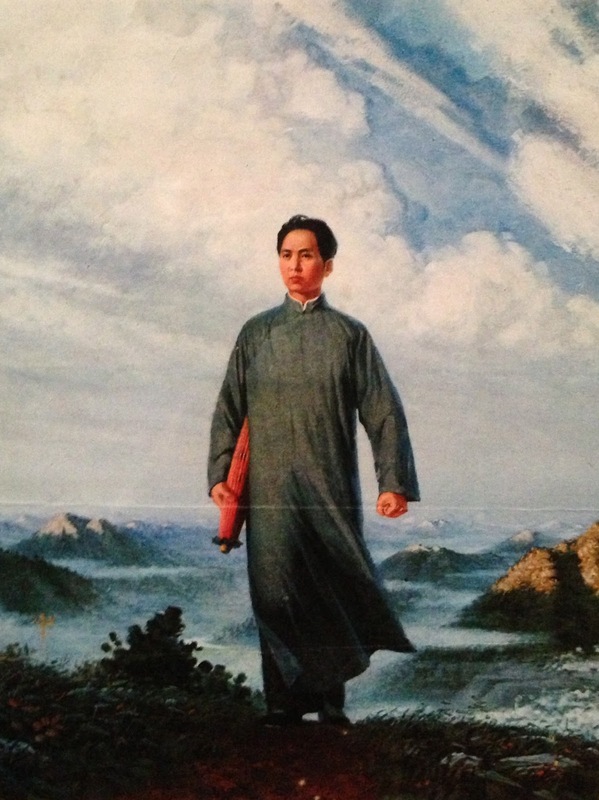 This picture shows Mao as a young man, striding to single-handedly win victory to the 1922 miners’ strike in Anyuan. It’s believed to be the most reproduced painting anywhere in the world, with more than 900 million copies made. There are a number of interesting propaganda techniques used in the image. Clouds: the clouds part with the arrival of Mao, suggesting a better, brighter future for China. Lone figure: Mao is the sole deliverer of revolution. Clothes: Mao wears plain clothes – implying he’s a man of the people. Clenched fists: showing Mao’s determination to succeed. Umbrella: Showing extensive travel in all weathers. 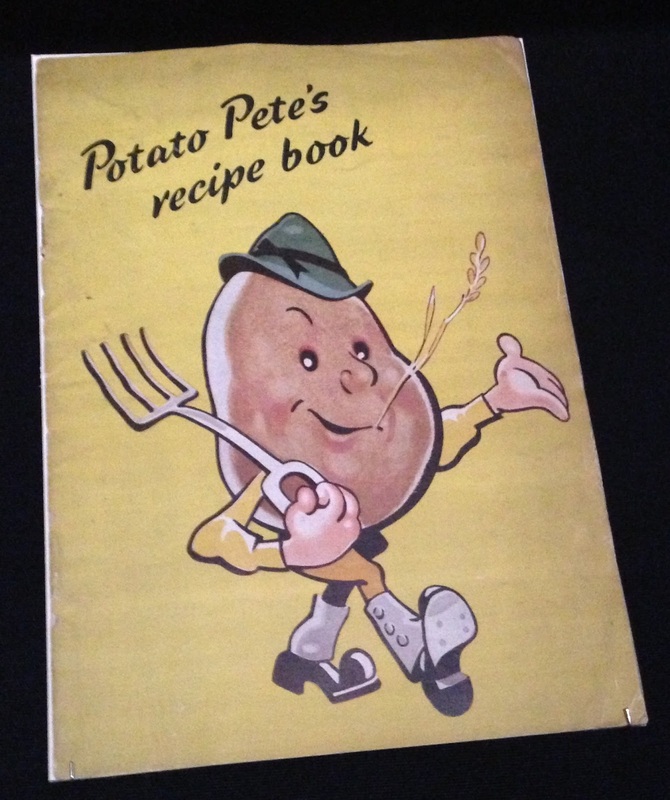 You may know the poster campaign ‘Dig for Victory’ – but it took many forms, including the Potato Pete cartoon. 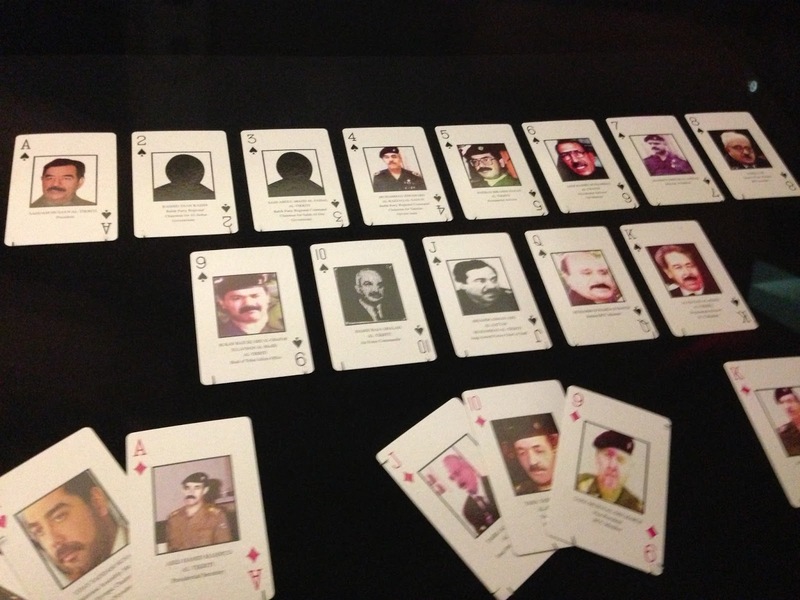 Amazing to learn that the US army was issued with playing cards featuring prominent members of Saddam Hussein’s regime. A really nice solution – considering the amount of card games that are probably played whilst waiting for action. I thought this was also quite an interesting game. 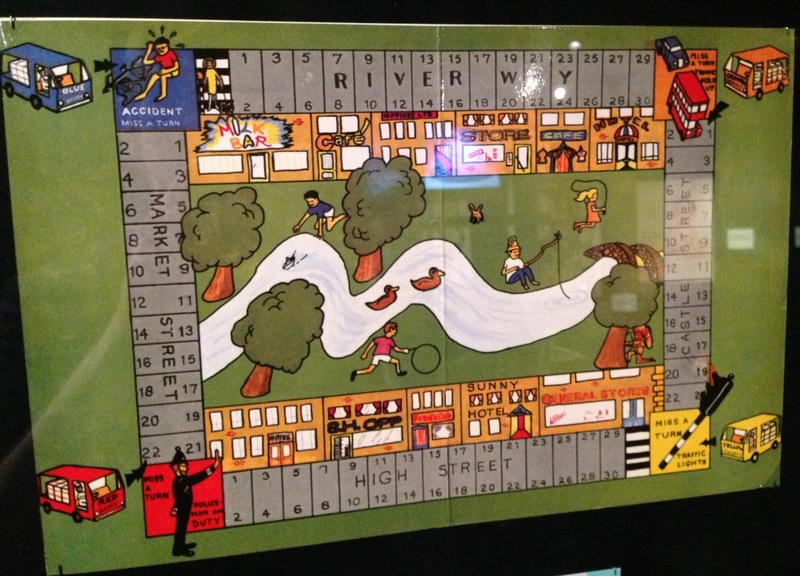 A board game designed to encourage children to drink milk by the Milk Marketing Board, a UK government agency established in 1933 to control milk production and distribution.